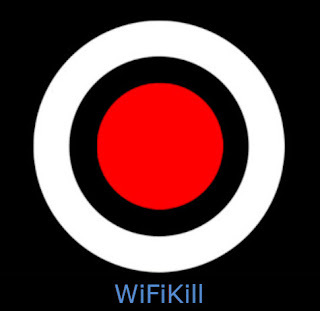 WiFiKill any unknown WiFi connection with free download, Virtual APK for Android smartphones and tablets, click on the download link and get free WiFi APK v2.3.2. Wifi network connects five to ten users each day, and it is more difficult to use Android users every day. If you want to get full access to the current WiFi network, yes you have to do this, There we have the very amazing Android application APK format which is WiFi APK v2.3.2, It is the best solution to kill any connections or cut into connection connections that is connected to the same WiFi. It is easily checked by the connected devices and starts to hit the connection. Now for this app android operating system, we are below the latest version page participating in this post download link. If you have a home or other place where fast internet service, you also use WiFi apps, because you have to save WiFi router more. Router signal spread. If any Android device detects the signal, this way it is very easy to connect using different hacking tools (Bismon AP), on the best Android applications to hack WiFi Is. Low internet speeds, as many users you face, face such difficulties. The solution for Android is now available, the WiFi app has easily hit the connected devices. Internet life is essential in every field of life, without internet life is so boring, if you have internet connection and it's slow, Download the WiFi APK for your Android device to hit an unsupported device, make sure the WiFiKill root apk root access is needed because root access is needed on your device. If your device is not root, help the following tools and start connecting your device Z4root, Android Root APK, and root Genius APK. For some time the other connected devices troubleshoot you, this application is designed specifically to control your router, and quickly connect your connection to other communication devices. If you download and install the WiFi Kill app on your Android device, it begins to find and search devices connected to the same connection. He has the arrest and killer of two important tasks. Capture is the main feature of this application, only shows how to download, name, IP address, mac address, up and down from your Android device or PC to your network. Connect with speed. Once Wi-Fi is detected, start WiFi to disconnect devices. WiFi Key is comfortable with APK Android smartphones, tablets too. Support Android 4.0 and up version WiFi APK. How does WiFi APK work on the Roaded Android device? After download and installation process, then open on your connected Android device. Grants allowance for Wifi Doo. You can see the list of devices that are connected. Click on the grab all ▶ button to connect to your devices and communicate with your device. Press the Killer All-Ally and disconnect all connected devices. WiFiKill is now the best solution and now the developers are introduced to use on Android device. Hopefully, you'll easily download and install your device, download link is below the page. If you encounter any problems during downloading and installing information or mentioning any feature of the Wi-Fi app, mention your problem in the comments section. 0 Response to "WiFiKill APK v2.3.2 (Latest) for Android Free Download"